Are forged Rods easily available? Supposedly stock 3500 are powdered metal rods, and stock 3400 ones were forged... I'm reading in some places that they are the same dimensions and others say differently... I'll have to investigate that for myself. Scratch that... they are shorter or something... so no option for forged 3500 unless I go custom... I wont do that till I break something. Sounds pretty forged to me. Stock 3.1 crank to left. Slight modification to the factory Malibu transmission bracket and Voila... works... At least the top part appears to work as I've modded it. 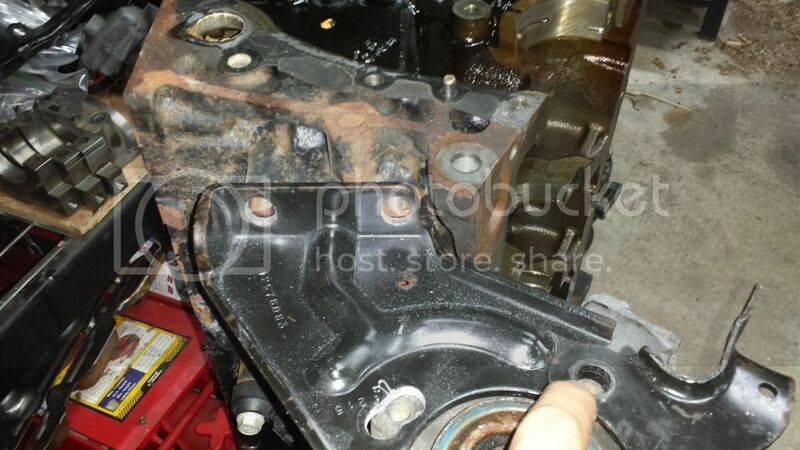 The lower part that connects to the oil pan I wont know till I fit a pan to this test block and see. Slight slotting of the holes on the block side, and had to drill a new one to bolt to the trans housing. I'll be filling in the old hole later. Doing some research on DIY Dry Film Lubricant and thermal barrier applications because I'm having trouble spending $300 to have that done to my pistons by a local coater.. Apparently Techline has stopped selling to the DIY market... Now they only service shops. Kinda BS so I have to have someone do the coatings for me. The counter weights look thicker than the 3.1. Nice hammer by the way, could of used one like that on the Camaro's body. Sure glad I have no use for one now. Last edited by Money pit Beretta on Tue Dec 09, 2014 6:23 pm, edited 1 time in total. Jon - have you used that Comp Cams break in spray for valvetrain that they sell in an aerosol? Keep seeing it on tv used in builds - I know probably just product placement - but when I assembled my LSx, I just used assembly lube and motor oil. Saw some spray on assembly lube recently but all I've ever used is the permatex red sticky crap that advance auto used to sell. Not sure if they still have it or not, they said they were discontinuing it last year when Amy bought 2 bottles. Once again had by a stupid employee.... They still have it in stock. AutoZone sells Lucas brand assembly lube as well, not the spray either just in a 4 oz. bottle. I saw on horsepower tv where they smoothed oil passageways and beveled hard edges in the block to get better drain back and eliminate stress risers. Probably also a good idea, along with a hot-tank job after that. Is that internal crank trigger an OEM swap or a custom solution? It's a TCE part that I bought. And yeah going over the block and de-burring sounds like a good idea. It's a bit more difficult on the V6 though because you can't get to the cam valley area... It's covered on top and from below so there is one area that can't be coated or de-burred well. 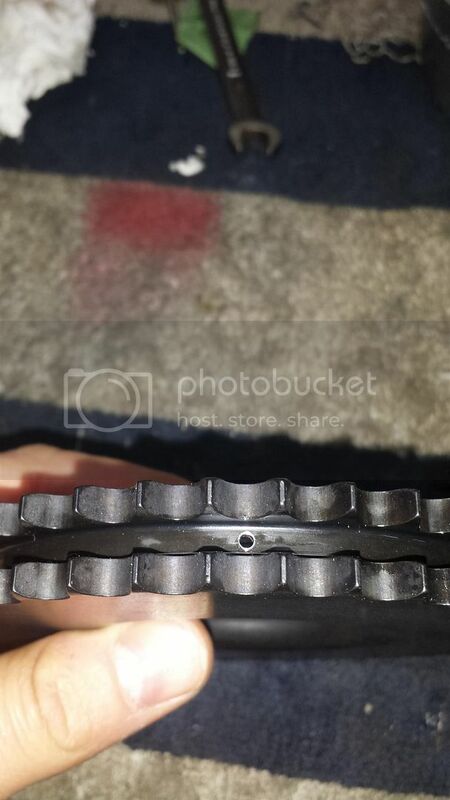 Are these v6's priority main oiling or does the valvetrain get the oil first? It may not be as big of an issue as an old small-block. It is a priority oil delivery system that oils the crank first but what does that have to do with improving drain back? Isn't that just always a good thing to do? Oil drains back through the valley so that's why I wanted to be able to get to all area's. But it looks like I can remove the casting flash easily from both sides and there wont be any hiding in the cam area... Its just the lack of being able to coat it. Oh well. After going back and forth with Marc last year about DR timing chain and oiling issues we came up with a few solutions to try and ensure that the chain gets sufficient oil. 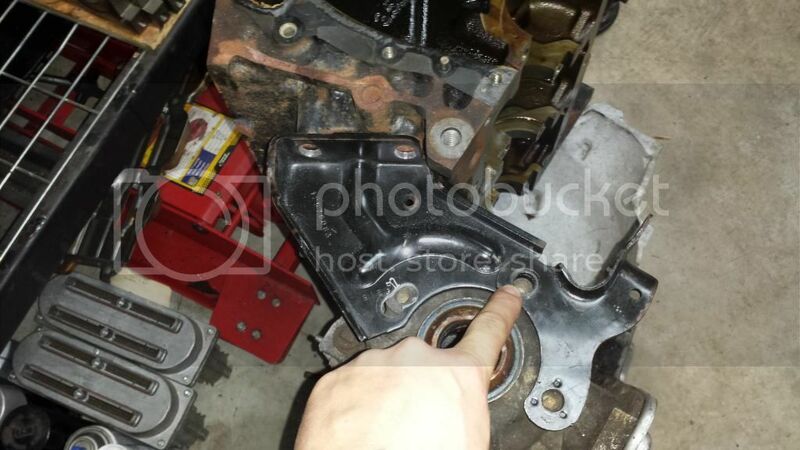 One is modifying the cam bearing to have two holes in it since the aftermarket SBC bearings you get you don't use the #1 in the pack because its too large, you only use bearings 2-5 all of which only have ONE oiling hole in it. 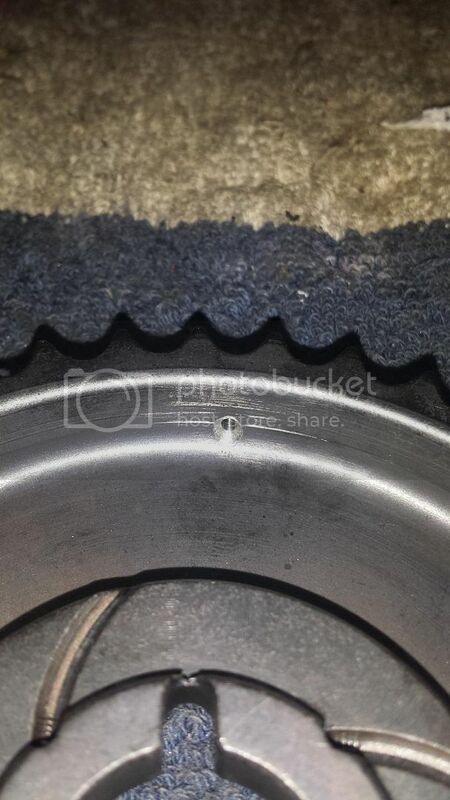 One replacement 3400 bearing that Marc found had the two holes on the front #1 bearing like the factory ones do, AS well as a groove cut in the 3 O'clock position hole to allow for oil to make it out to the thrust plate and timing chain assembly. I will be drilling the second hole in my cam bearing as well as making a slight groove to direct more oil out that way. 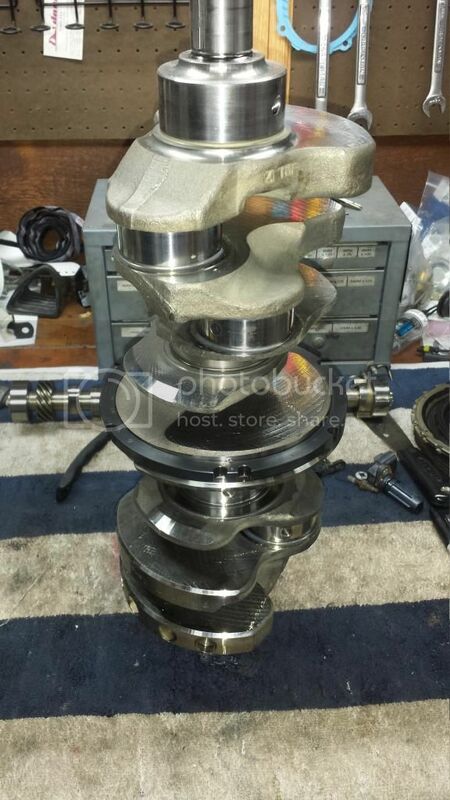 Then next thing is recessing the bearing into the block as it's done by the factory to allow clearance between the bearing and the thrust plate seeing how the holes on that don't always line up very well with the cam/bearing gap. You can see the recessed bearing compared to the block face here. It's hard to see in this photo, but the gap between the cam and bearing is not centered in the holes for the thrust plate... They drilled those holes I believe on the same diameter as the block cam journal, and not the actual journal size on the cam itself. You can see how the oil stains are pretty well cut in half in relation to the block cam bore ID and not the bearing ID. 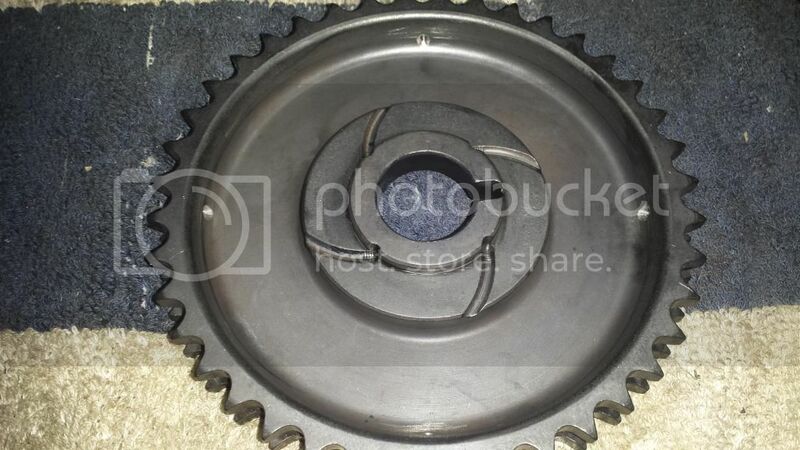 You can see in this diagram Marc drew the diameter of the bearing ID in relation to the plate, then a cross section of the sprocket, plate bearing and cam with the bearing flush mount, then recessed and then finally recessed with oiling holes drilled into the cam sprocket. I will be doing the last cross section because I also drilled 4 holes in the DR upper sprocket.. I mean it can't hurt to direct the oil to the center of the chain rather than the backside only.